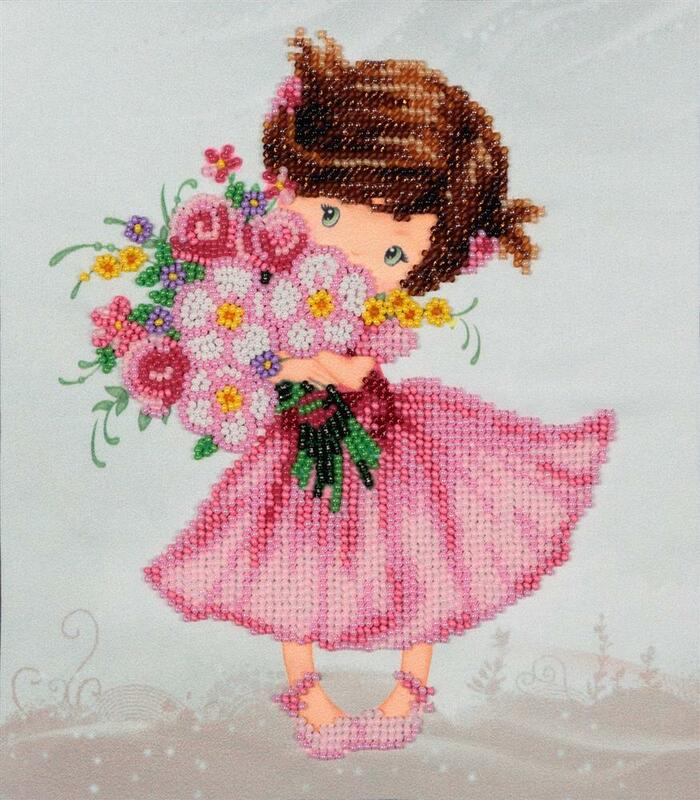 This bead embroidery design from VDV, features a little girl holding a large bouquet of flowers. Beads are sewn with a single length of thread, simply follow the printed pattern to select the correct bead for an area. The kit contains fabric with printed background and symbols, 46 grams of beads, beading thread, needle and easy instructions.